Yesterday, I travelled to Philadelphia to take part in the opening day of the Innovations 2012 conference. This conference, a yearly event organized by the League for Innovation in the Community College, is a “premier event for community college professionals dedicated to improving organizational and individual teaching and learning.” This year, the event is organized into a number of “streams”, one of which is Open Educational Resources (OER). As such, the League invited Creative Commons CEO, Cathy Casserly, to deliver the Opening General Session keynote. While my primary purpose at the conference was to represent the Saylor Foundation as one of the co-sponsors of the Open Education reception held yesterday afternoon, I was also able to sit in on Cathy’s keynote, a message that I felt was well-received by all attendees. Cathy began by first addressing her background and her passion – a life of experiences that led her to the stage last night. After she graduated with her bachelor’s degree, a B.A. in mathematics from Boston College, Cathy moved to Kingston, Jamaica to teach, an experience that fueled a career in education. Her path began in classrooms and this allowed her to understand the challenges that teachers face. This experience – and the path that her career subsequently followed – helped her come to a realization: she always understood that it is the community colleges in this country that can make a significant difference to disadvantaged students. So how do community colleges fit into this new age? Cathy noted that she always thought of community colleges as “scrappy” – not a negative term, but meaning, rather, that these institutions always know how to do more with less. So, to address many of the issues facing higher education, community colleges can turn to OER which not only levels the playing field for students but it also provides open platforms to improve teaching and learning. It allows educators to share and work together in ways never seen before. It also provides a dynamic system: openly licensed materials allow for a derivative to be quickly created, helping to increase efficiencies. Cathy then gave a quick overview of Creative Commons (CC), a global standard with 100+ affiliates working in 70+ jurisdictions. CC licenses are unique because they can be expressed in 3 ways: lawyer readable legal code, human readable deed, machine-readable metadata. There are now over 500 million items on the web licensed under CC. Cathy noted examples such as Wikipedia, WhiteHouse.gov, MIT OpenCourseWare, P2PU, and Flickr. 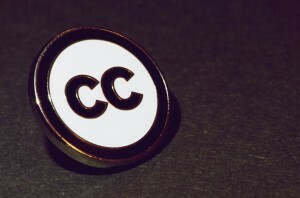 More examples can be found on Creative Commons’ website. Cathy closed her keynote by pointing out the many ways the educational institutions are using OER now. Notable examples are Washington SBCTC’s Open Course Library, the Community College Consortium for OERs (CCCOERs), and OpenStax College. I can only hope that the Community College faculty in attendance listened closely to Cathy’s message, noting, in particular, the benefits that OER can have to students and their respective institutions. Curious how community colleges can benefit from Saylor.org courses and resources? Be sure to tune into our webinar “Introducing Saylor Foundation OER to Community Colleges” on Tuesday, March 6th at 2:00 p.m. EST, part of Open Education Week. The image “Creative Commons” comes from Flickr user Kalexanderson and is licensed under a Creative Commons Attribution-ShareAlike License. Open Education Week: Kicking off on Sunday!Why Open Education Matters: New Video Competition Launched!